Klass are UK fashion at its finest. With in-house designers, Klass work hard to bring you stylish and elegant pieces that perfectly suit every individuals flare. 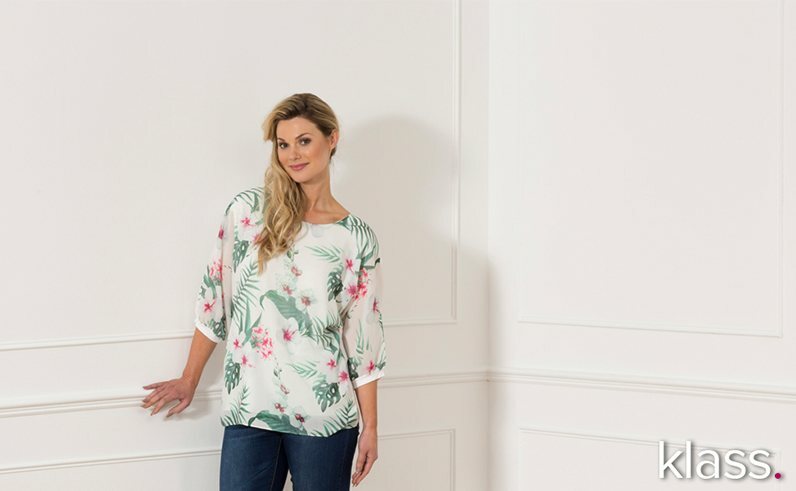 With a range of sizes from 10-22, Klass offer fashion to fit everyday life as well as all those special moments in between. With Klass you can discover gorgeous day looks, from basics to chic separates as well as smart work wear, or find that perfect evening gown in the stunning and figure-flattering Klass Cocktail and Occasion Collection. The ranges at Klass aim to make the latest seasonal trends accessible to a wide age range whilst capturing a look and fit that gives confidence to wearers, all of which at an amazing price. With a constantly updating collection, you can be sure to feel special and look great by finding your perfect wardrobe addition at Klass.